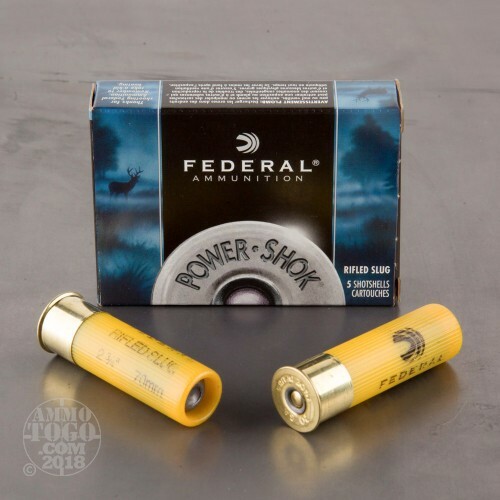 This is 20 gauge Federal Power-Shok 2 3/4" 3/4oz. 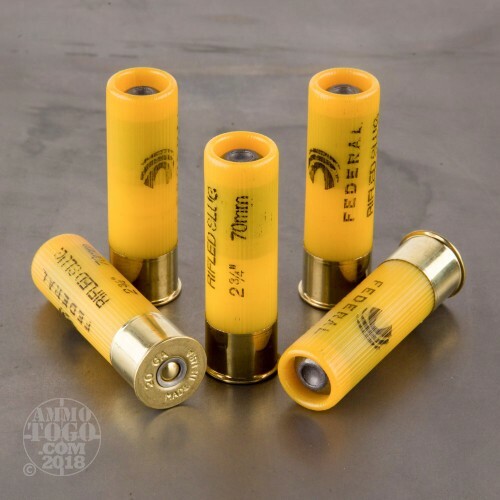 Rifled Slug Ammo. 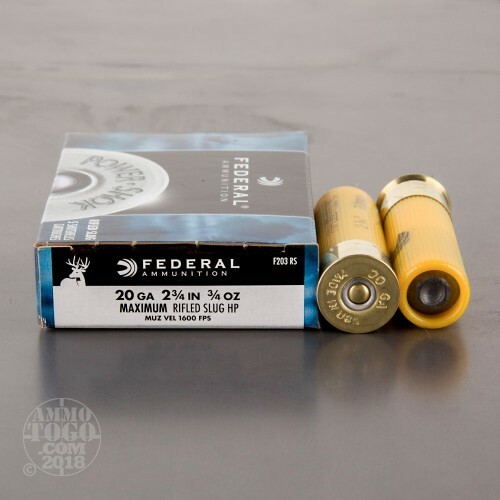 The Federal Power-Shok rifled slug is a hard-hitting ammunition designed for exceptional performance in the field. 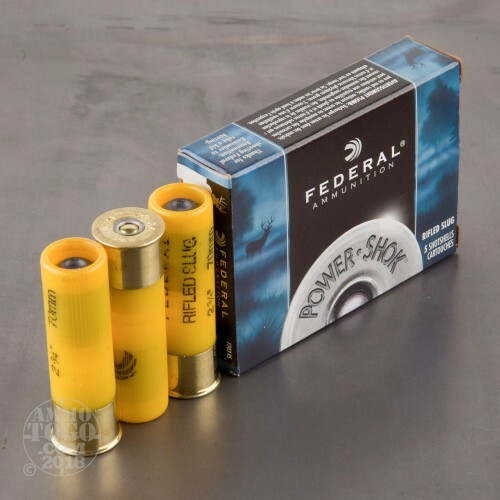 A combination of various slug weights with Federal's reputation for quality results in a shotgun round that you can depend on. This ammo is packed in 5rd. boxes.